NORTH BAY — Hosted by “Miss Communication” and with beats by DJ Rob, last night’s “Don’t be a Drag: Come on Out!” show was a smashing success. With over 300 attendees, the drag show saw over a dozen Kings and Queens take the stage for two acts of dancing, singing, strutting, and gyrating. Performers included Ginger Peach, Phoenix, Alex Uptight, Aidan, Peaches and Cream, and Lady Wood. 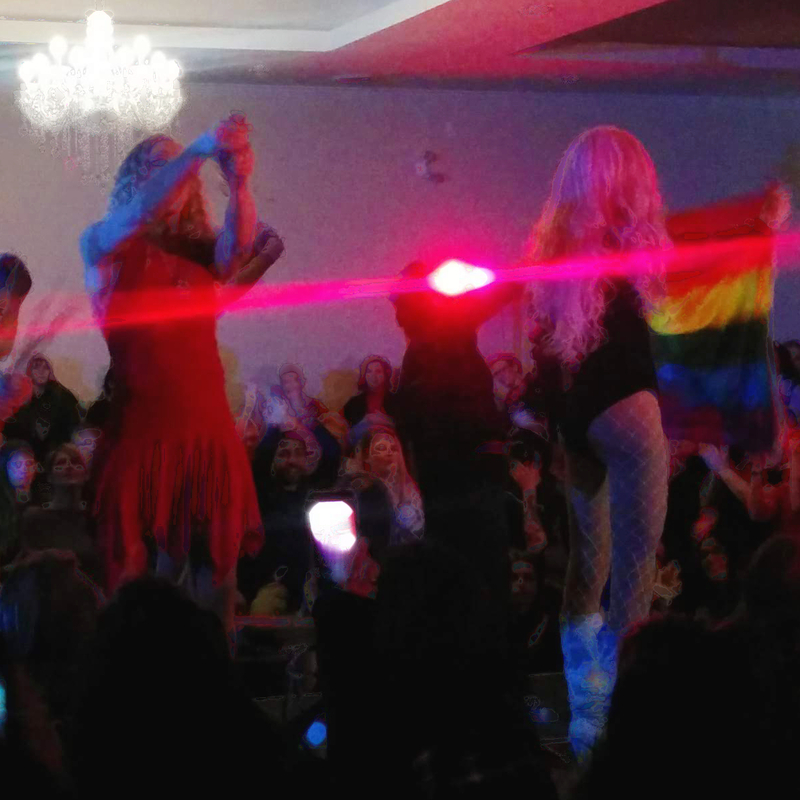 Sponsored by local businesses like Long & McQuade and groups like Amelia Rising, the full-out drag show drew a loud, enthusiastic capacity crowd at The Grande. But not all the attendees knew what they were in for. Mistaking the Drag Queen Show for a Drag Race Show, seven drag race drivers and enthusiasts showed up ready to talk spark plugs, nitrous, and burnouts. But instead of car bodies, they were greeted by hard bodies. But Leyton didn’t need to explain it to the boys. Fellow driver Hudson Towner shared Cartel’s sentiments. All the drag drivers said they would be back for the next show, and one even declared interest in being a part of the show. All proceeds for the “Don’t be a Drag: Come on Out!” show went towards North Bay’s Pride Week and to ensuring that North Bay continues to move toward being a safe place for those in the LGBTQ2+ community. I wish I had the night off that I could have attended it sounded like it was an amazing show. Hopes to get out to another one in the future. I missed this event and from everyone’s comments it was a great experience. I hope you have it again. I will not miss the next one! Our city needs to be a safe, respectful place for everyone. Looking forward to gay pride week!